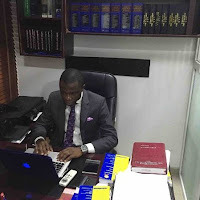 Mr. X commenced a lawsuit against Company Y at the National Industrial Court (NIC), Lagos (Suit No. NIC/LA/265/2015) seeking, inter alia, a declaration that the termination of his employment by the Respondent on 24th March 2015 constitutes a violation of his fundamental rights to human dignity and freedom from discrimination as guaranteed by sections 34 and 42 of the Constitution of the Federal Republic of Nigeria 1999 (as amended) and Articles 2, 5 and 19 of the African Charter on Human and Peoples’ Rights on the ground that his termination was based on the discovery that he was HIV positive. The Applicant also sought for general, aggravated and exemplary damages against the Respondent for the shabby and wrongful manner in which his employment was terminated. The pertinent facts of the case are as follows: the Applicant contended that the Respondent had a policy of mandating its employees to undergo HIV tests at various times of the year and on one of such occasions; he was discovered to be HIV positive. Upon discovery of the Applicant’s HIV status, his Line Manager asked him to go home to take care of himself and never return to the office. The Applicant’s solicitor consequently wrote a letter to the Respondent requesting it to rescind the termination of the Applicant’s employment and compensate him, but the Respondent did not respond to the letter. As a result of the above, the Applicant filed an Originating Summons and a Written Address at the NIC through his solicitor, Mr. Faruq Abbas of Abdu-Salaam Abbas & Co., by which he requested for the reliefs stated above. The Respondent’s Counsel filed a Written Address in response to the lawsuit where he argued that the Applicant’s employment was not terminated and that the Applicant failed to resume at work based on his inability to come to terms with his HIV status. The Respondent however conceded that the last time it paid the Applicant’s salary was in March 2015 and it did not make any attempt to visit the Applicant at his residence. The Respondent’s Counsel raised other arguments and objections, which includes— challenging the competence of the lawsuit on the ground that it ought to have been commenced through a writ of summons since the facts of the case were purportedly disputed. In a judgment which was delivered on 15th July 2016, Honourable Justice Obaseki-Osagie agreed with the Applicant’s Counsel’s argument that the Applicant was constructively dismissed from employment and that his dismissal amounted to a violation of his fundamental right to human dignity and freedom from discrimination since it was ostensibly premised on his HIV status. The Court also held that it was unlawful for a Company to mandate its employees to undergo any form of medical test, as doing so would amount to an invasion of the employees’ right to privacy and flagrant disobedience of section 10 (6) of the Protection of Persons Living with HIV and Affected by Aids Law of Lagos State, 2007. It is instructive to state that the Protection of Persons Living with HIV and Affected by Aids Law of Lagos State, 2007, makes it an offence for a company to mandate its employees to undergo any medical or clinical tests. The Court therefore awarded general damages in favour of the Applicant for the violation of his fundamental right to human dignity and freedom from discrimination (24 months gross salary as general damages and 1 month salary in lieu of notice). One of the major lessons from this decision is that the mere fact that an employer terminates the employment of an employee without giving any reason for doing so will not protect the employer from a work place discrimination lawsuit. This is because the Court will not hesitate to award significant damages against an employer, where the employee is able to adduce credible evidence showing that his/her employment was terminated based on a health related condition that does not in any way affect the employee’s ability to perform his/her roles. Another important lesson is that employers must refrain from making it compulsory for their employees to undergo any form of medical or clinical tests, as this would be regarded as an invasion of the employees’ right to privacy and a disobedience of section 10 (6) of the Protection of Persons Living with HIV and Affected by Aids Law of Lagos State. Therefore, employers must ensure that their health policy/handbook contains ample provisions, which make it clear that the employee has a right not to submit to a clinical or medical test and the failure to submit to such test would not be punished in any manner whatsoever. Lastly, employers in Nigeria must, as a matter of policy, always consult their external Counsel before taking decisions regarding the termination of an employee’s employment, as failure to do so might affect the image of the company and expose it to prosecution for a breach of the Protection of Persons Living with HIV and Affected by Aids Law of Lagos State and other similar legislations in Nigeria. 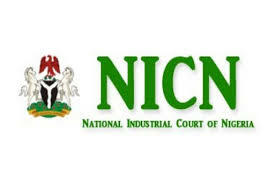 It is expected that the NIC’s decision would help to stem the tide of work place discrimination on HIV related grounds in Nigeria, as a significant number of employees who have been victims of work place discrimination on HIV related grounds are usually not bold enough to seek redress in the Court. Legal Practitioner with core competence in commercial litigation, property law, debt recovery, alternative dispute resolution and family law. Represents clients regularly in civil lawsuits in various Courts in Nigeria and advised companies and high net worth individuals.